Trucking routes can be challenging for a variety of reasons. Many times, commercial trucks are blamed for destroying roads, with some experts estimating that one fully loaded truck and trailer causing as much damage to a road as 5,000 cars would. But often, trucks are the ones that acquire the damage of a challenging route or a road that has not been maintained. Deteriorating roads have effects on operating costs, freight damage and logistics. With regards to freight damage, potholes, uneven surfaces, weight limits, sharp turns, steep graded hills area all common across many of the nations highways, and these can affect the transportation and safety of fresh vegetables. Air ride suspension is better over spring ride suspension. Air ride suspension is made up of airlines, valves and flexible air springs that provide adjustable suspension and support a load. Overall, it offers a smoother ride vs. spring ride suspension, making it the better option. This is especially true for high value loads, delicate product, and on challenging routes. Although trucks with air-ride suspension systems can’t eliminate the risk of route-related damage to product, they substantially reduce the possibility of injury to fresh vegetables. Items that are too heavy for the type of packaging used, especially when cardboard containers are used. Containers that are not properly sealed and will allow the product to spill out in transit. Loading by product weight. Do not load heavier vegetables on top of lighter ones. Acceptable stacking heights. Do not stack boxes/pallets so that that they will topple over, either onto other freight or when the trailer doors are opened. Delivery order. Every attempt should be made to the load the freight that will be unloaded first on the back of the trailer. This will save you time, money and unnecessary headaches at delivery. Our blog post on Packaging in the Produce Industry has more useful info on the types of materials used, methods, and other considerations that are important when shipping fresh vegetables. Air bags/inflatable dunnage – these are used to fill damage causing empty space inside your trailer. Corner boards – these are used to protect and reinforce pallet shipments and help to uphold the integrity of a containers that are wrapped on pallets. Load locks – these are telescoping bars that have ratcheting mechanisms inside, and are typically constructed out of steel or aluminum. They prevent shifting loads, spilled or dropped cargo, overloading, and unsafe handling of product. Make sure you have3-6load locks that are in good working order available at all times. We provide some great tips in our blog post, The Load Securement Best Practices Drivers Need to Follow. Speed: Speed plays an important role in driving a commercial vehicle. Speed on challenging routes must be considered as it can be easy for a driver to lose control of their vehicle in these types of situations. If the road is bumpy, windy or hilly, take your time and slow down, and think about the cargo that is in your care. Remember: it takes you longer to accelerate and longer to brake than a car. Turns and Curves: Oftentimes, the posted speed limits on ramps, turns and curves are geared towards smaller vehicles, not commercial vehicles. When approaching these types of road conditions, drivers of commercial vehicles must adjust their speed. When speed is properly reduced, the truck’s tires maintain contact with the road; when speed is not properly reduced, the truck’s tires will lose contact with the road. This could lead to shifting cargo, or worse, a rollover accident. Furthermore, whenever you are entering a curve in the road, you may need to slow down, and you will need to slow down whenever you negotiate a turn. Rollover accidents can happen for numerous reasons including taking a curve too fast, overcompensating to get back on the road when your tires slip off the road, and high winds. Stopping Distance: commercial vehicles need more time to stop than cars. In addition, drivers on challenging routes need to allow for an even greater total stopping distance based on conditions. These can be driving in any of the following situations: at night, on secondary roads, in hilly or mountainous areas, along windy routes, and whenever precipitation is falling or the road is wet. Total stopping distance is made up of three parts: perception distance, reaction time, and braking distance (which includes brake lag). Note that braking distance is affected by the weight of the product in a trailer. 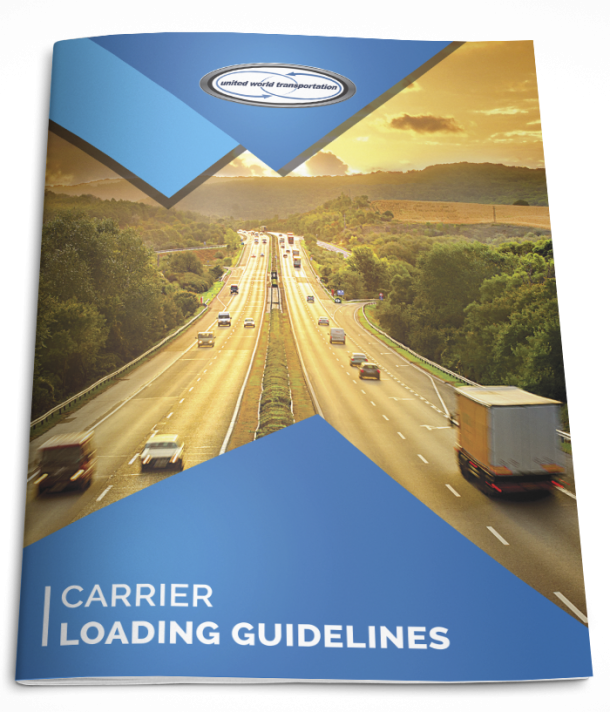 Trucking on a challenging route has many factors that a driver must consider. By using the tips outlined above, a driver can ensure that they are doing all they can to transport and protect fresh vegetables so that they will successfully arrive at their destination.